The obelisk is an iconic symbol of ancient Egypt, second only perhaps to the pyramid. Unlike pyramids, however, Egyptian obelisks have been transported all over the world and set up in cities such as Rome, Paris, London, and New York. Now there is one in Los Angeles. As part of the Getty’s upcoming exhibition Beyond the Nile: Egypt and the Classical World (March 27–September 9, 2018), which will examine the artistic and cultural interactions between Egypt, Greece, and Rome, we are partnering with the Museo del Sannio in Benevento, Italy, to conserve a granite obelisk in its collection. 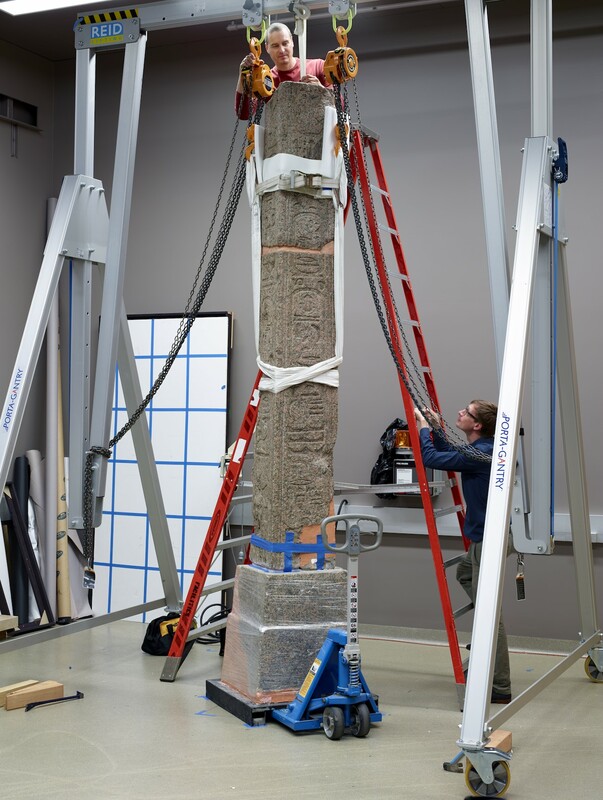 We will document the conservation process here on the Iris—it’s an exciting project for us both because this is the first time Getty conservators have worked on an obelisk, and because it will be the first time we’ll offer our visitors the chance to see one. For this initial post, I’ll share a bit of background info on the history of obelisks, an Egyptian invention that was coveted by other cultures of the ancient Mediterranean, and I’ll introduce the Museo del Sannio obelisk. An obelisk is a monumental, four-sided tapering pillar of stone topped by a pyramidion (miniature pyramid). 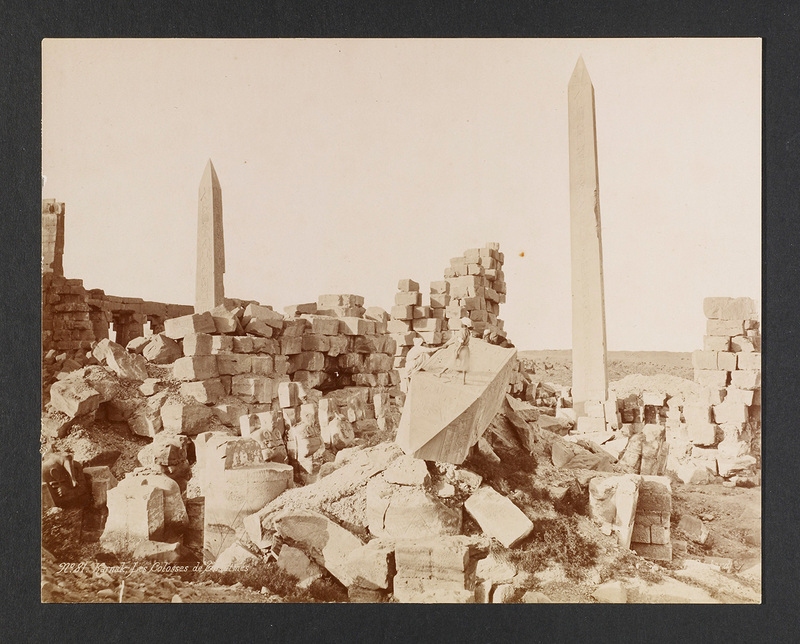 The ancient Egyptian word for obelisk was tekhen, but we know obelisks by their Greek name, obeliskos (a humorous name meaning “little skewer”). The pyramidion (or benbenet in ancient Egyptian) could be covered in metal to reflect the sun. In fact, the monuments’ significance was tied to the cult of the Egyptian sun god Re. Amazingly, each obelisk was a monolith: carved from a single piece of stone. If the stone cracked as it was being worked in the quarry, it was abandoned. Today we may picture obelisks as lone monuments, but they usually stood as pairs before the pylon gates that marked temple entrances. Hieroglyphic inscriptions on the four sides of the stone would name the reigning pharaoh and include a dedication to the god of the temple. Obelisks are almost as old as Egypt’s pharaonic history itself, with the earliest examples constructed during the Old Kingdom (c. 2686–2125 BC). Pharaohs continued erecting obelisks for over two millennia, until the arrival of the Romans in Egypt in the first century BC. 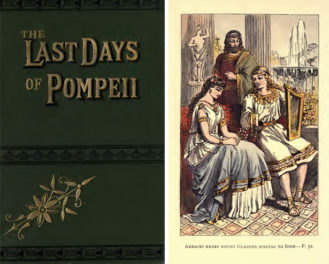 In 31 BC, the Roman general Octavian (later known as emperor Augustus) defeated his rival Marc Antony and the Ptolemaic queen Cleopatra VII in a naval battle that led to the pair’s suicide. Egypt was then annexed as a province of the nascent Roman Empire. The Romans, fascinated with the exotic art and religion of Egypt, took a large number of Egyptian sculptures, including obelisks, to Rome to decorate public spaces and private villas. Egyptian art dotted the Roman landscape. Emperors often displayed the obelisks on new pedestals bearing their own names in Latin, thus appropriating the monuments for themselves. Roman artists also liked to represent obelisks as a decorative device, often to evoke an Egyptian setting. The transportation of actual obelisks to Rome and their depictions in Roman art were part of the process of claiming them—and, by extension, claiming Egypt—as a Roman possession. 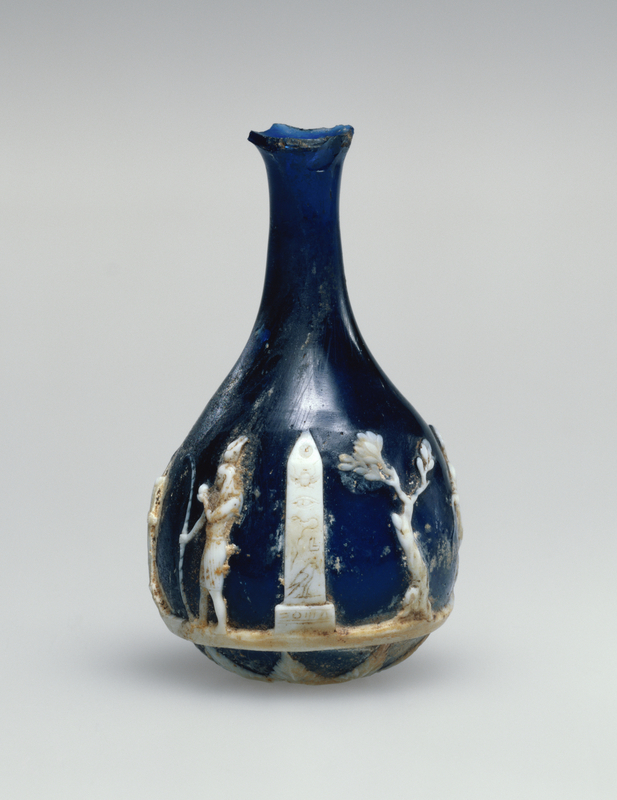 A delicate Roman cameo glass flask at the Getty Villa shows a scene of Egyptian cultic ritual that includes an obelisk with an imitation hieroglyphic inscription, next to which stands a man in pharaonic costume approaching an altar. 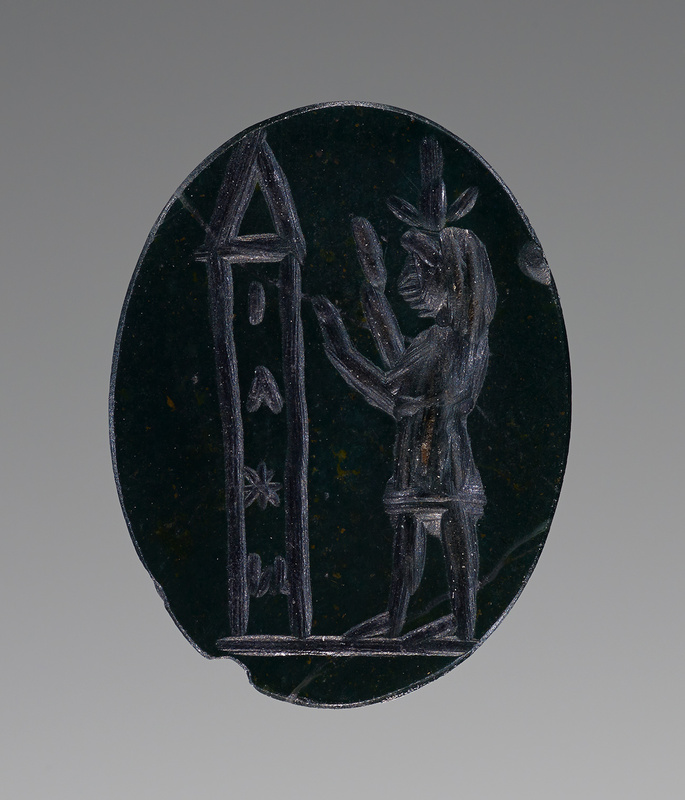 An obelisk also appears on one of the Getty’s many engraved gems, standing before an Egyptian figure who wears a kilt and an oversized lotus headdress and raises his hands in a gesture of worship. The gem served as a magical amulet, thought to provide protection to the owner (See more on magical gems here). The inscription in Greek letters reads IAW (“Yahweh”). The Romans had such an appetite for obelisks that they not only took them from Egypt, but also carved new ones. They used Egyptian granite, including the especially popular pinkish stone from the quarries at Aswan in the far south. 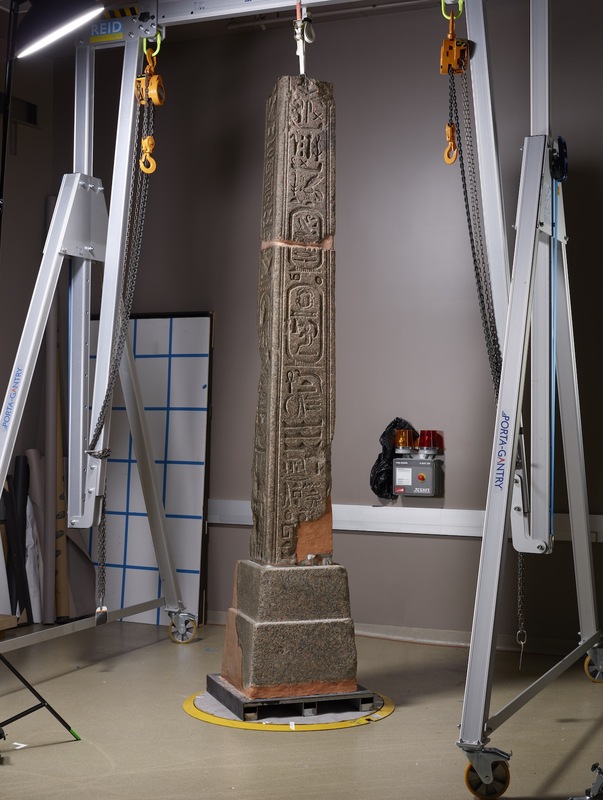 It is unclear whether the obelisks were shipped to Rome in a partially carved state—to be finished by a Roman sculptor—or fully carved and inscribed in Egypt and then exported to Rome. Some Roman obelisks were left uninscribed, while others have legible hieroglyphic inscriptions that could be either copies of existing Egyptian texts or new compositions. They were typically made on a smaller scale than Egyptian obelisks, the largest surviving example of which is over 32 meters tall (brought to Rome from Egypt, it can be found near the Archbasilica of St. John Lateran). 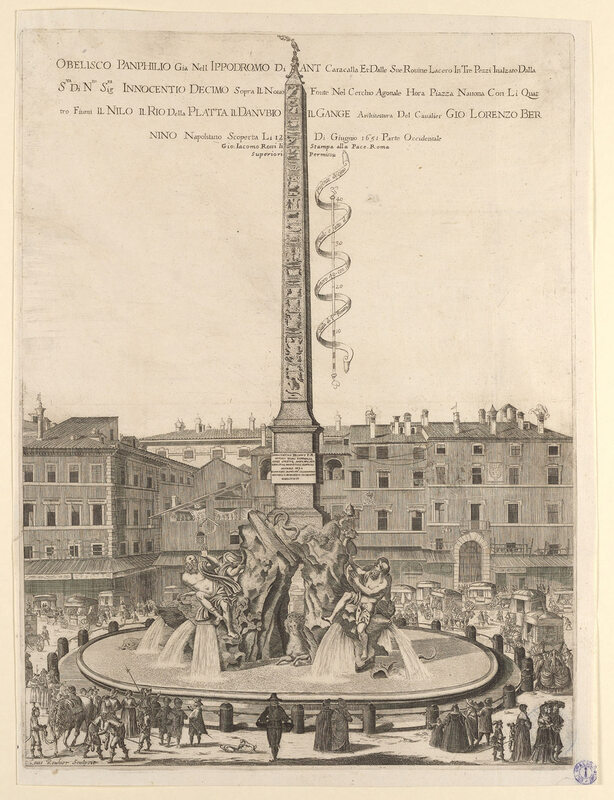 One of the tallest Roman obelisks (16.5 meters) was placed atop Gian Lorenzo Bernini’s Fountain of the Four Rivers in Rome’s Piazza Navona in 1651. Like the Museo del Sannio obelisk, the obelisk on Bernini’s fountain was carved during the reign of emperor Domitian (AD 81–96), a member of the Flavian dynasty, a family known for its fondness for the Egyptian gods Isis and Serapis. Benevento is a city northeast of Naples in southern Italy. During Domitian’s reign, a sanctuary of Isis was built there. Isis had become popular throughout the Roman Empire and her temples were often decorated with Egyptian objects or Roman sculpture made in the Egyptian style. In AD 88/89, a man named Rutilius Lupus commissioned two granite obelisks for the Benevento temple. One currently stands in the Piazza Papiniano in Benevento, while the other is in the collection of the Museo del Sannio. 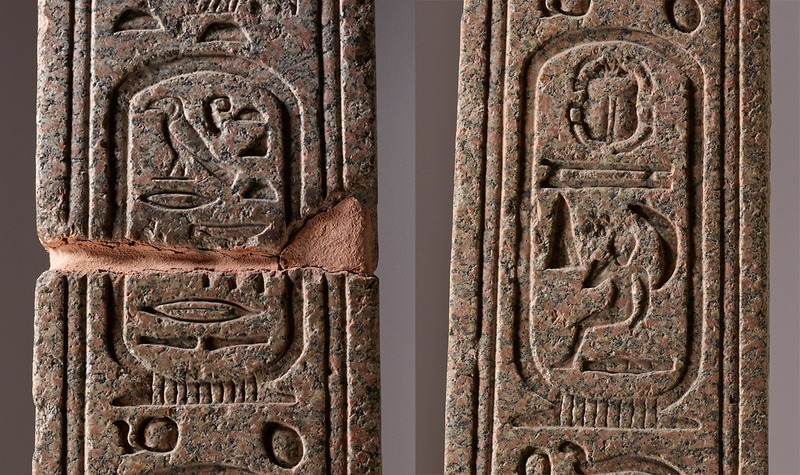 Each of the two obelisks bears a hieroglyphic inscription written in the Middle Egyptian language. The inscriptions name Rutilius Lupus and provide a dedication to Isis, the “Lady of Benevento,” in honor of Domitian. 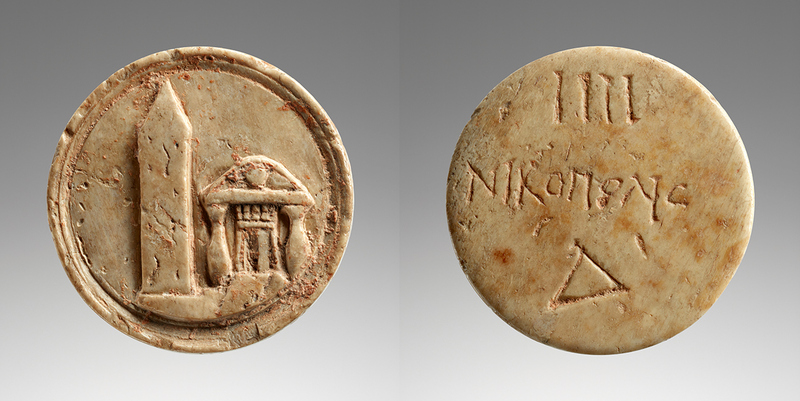 Domitian’s titles appear in cartouches (rings that encircled a pharaoh’s official names). We don’t know whether the obelisks were carved in Egypt or Italy, though the well-composed text could be the work of an Egyptian scribe. The pink hue of the granite suggests that it came from Aswan. These monuments are a fascinating case study in Egyptian-style sculpture created specifically for a Roman setting at the request of a Roman patron. The Museo del Sannio obelisk is broken into two sections and is missing its upper portion and pyramidion (all told, about 170 centimeters of its original height are lost). 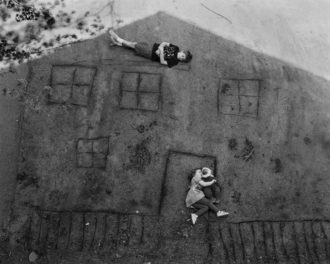 Its internal pinning system and external treatment with plaster-covered masonry (the orange sections you see in the photographs) need to be updated. Over the coming months, Getty Museum conservator Erik Risser will address its structural stability and consider what aesthetic work is appropriate to bring the monument closer to its original grandeur, using its twin in the Piazza Papiniano and my own research on the two obelisks’ ancient and modern histories as guides. 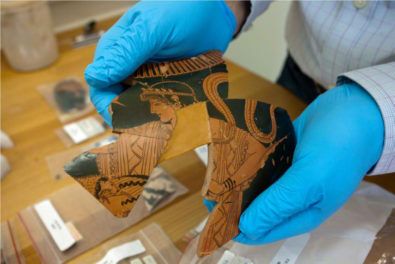 We will also be studying the hieroglyphic inscription closely as we work together with Egyptologist Luigi Prada from the University of Oxford, who is preparing an updated translation for the catalogue of the exhibition. 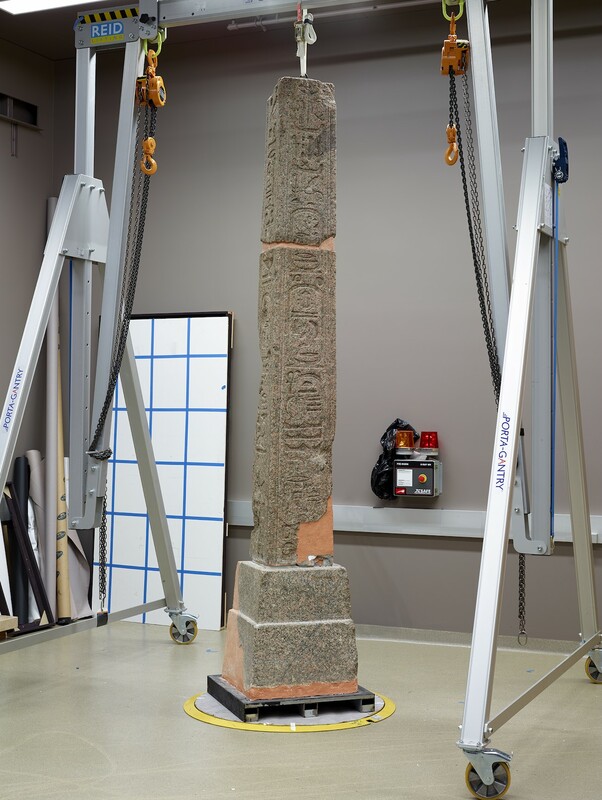 The first step in this process was, of course, transporting the obelisk to Los Angeles and setting it up in the Villa’s conservation labs. Later this year I’ll be back to explore how engineers have solved the problem of moving these monoliths, from antiquity to the present day. 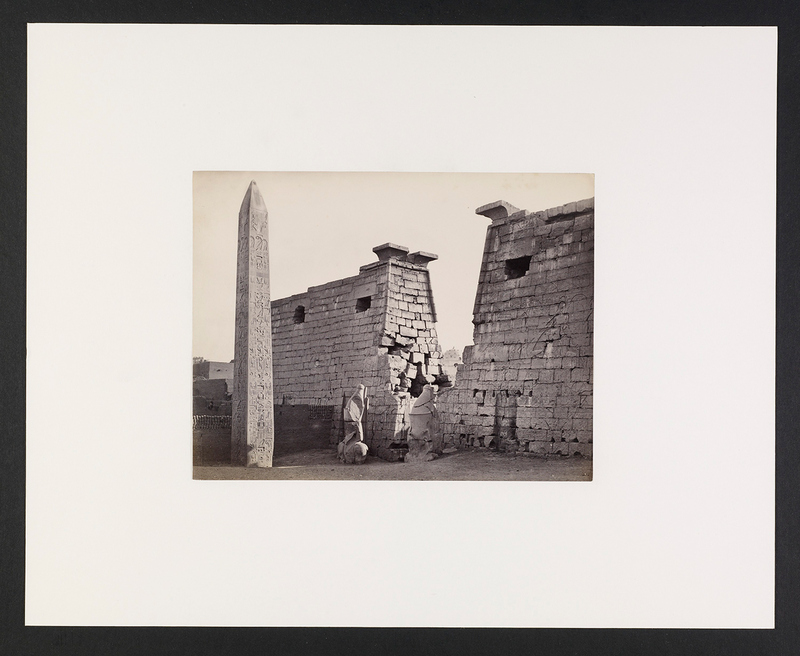 As an Egyptologist with a strong interest in obelisks I am thrilled by both, your important conservation project and your upcoming Exhibition. Thank you very much for sharing this Information.